Most people think of space when they think of Texas. But it is more than Alamo and Houston. Texas is a great place to study in the USA. It has stunning grasslands, prairies, coasts and forests to explore on the one hand, and exciting cities that are centers of innovation and culture in the South on the other. Major cities like Houston, Dallas and Austin are crowded but cosmopolitan. Top state colleges and universities like the University of Texas, Rice University, Texas A&M University, Texas Tech, University of Houston, the University of Texas at Austin and others have excellent programs across disciplines. If you want to study in Texas but you or your parents can’t afford to bear the full expenses without a little financial aid, you want to look at The grants available to you. 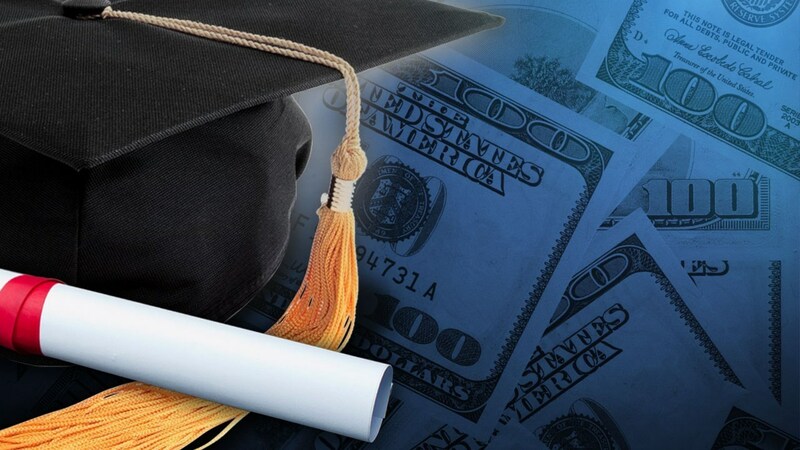 Here’s a look at some top scholarships to study in Texas. The ISSA Foundation is a philanthropic organization that receives funding from philanthropic companies and individuals to fund scholarships and research grants. The bursaries are awarded to graduate or undergraduate students who want to study a program at a fully accredited college or university. One of the ways in which you can be eligible for the opportunity is if you are sponsored by an ISSA member company. ISSA members include Colgate-Palmolive, Newell Brands Inc. and other reputable companies in the global cleaning and maintenance industry. If you have a spouse, parent (or step-parent) or grandparent employed in any of these companies, you’ll be eligible to apply. You may also be eligible for the program if you’re applying to certain colleges that pre-screen candidates for the ISSA scholarships. The bursaries are for tuition and books online. The foundation awards more than $150,000 each year to over 50 students to study in private and public colleges in the US. With this funding, you can study at Texas colleges like Texas A&M University College, University of North Texas and other institutions. This is the highest Awarded to international students enrolled at Texas A&M University. You become eligible for this award after having enrolled at the university for at least two semesters. You can apply on your third semester there and stand to win $2000 cash annually. the program trust only considers students who have at least a 3.5 GPR and have been very active in the community and in campus activities. Leadership positions are preferred. An organization named P.E.O. International offers the IPS to foreign women who want to pursue a graduate program in the US or in Canada. You’re more likely to win the award if you can demonstrate need. It’s not a fully-funded position, however. The maximum you can be awarded is $12,500. You also need to present the other additional sources of finance you’re using to fully fund your college course. You could show tuition waivers, personal or family funds, study grants, teaching assistantships, and other programmes. this application is for international non-residents from countries of the Western hemisphere except Cuba. You need to have been born in your home country and must be living there currently in order to apply. This is a merit-based scholarship and will only be awarded to those who intend to return back to their country after completing their program. You can win a year of tuition at a Texas public college or university. To apply, you have to get in touch with the Financial Aid office or the International Student Affairs Office of the Texas university you’re applying to. TAMS is offered to new and continuing students from Mexico at the University of Texas Austin (UT). the program covers your tuition as long as you can demonstrate that you can’t cover the tuition costs on your own. You will also need to convince the program Trust that you intend to return to Mexico after you’ve graduated. Applications are usually due by May 31. It’s a highly competitive grant, so the authorities don’t accept late applications. This prestigious university offers a few hundred AES full-tuition grants to freshmen who earn a 3.0 GPA or better each semester and show good progress across a 4-year program. You can apply whether you’re a full-time undergraduate or a graduate student. There’s also an AES Student Success Program in the place where you get one-on-one attention from the SOAR office to help you deal with difficulties that make you fall behind a semester. This one is awarded by Texas A&M University to one student enrolled at the university each year. The institution grants $500 for a semester based on merit and an openness to other cultures. You also need to be actively involved in organizations other than the international ones. The deadline for application is usually around February 1 during the Spring semester. You can apply for the $500 Tina Watkins Scholarship if you’re a self-supported student already enrolled at Texas A&M. It’s a merit-based scholarship requiring you to have a GPR of at least 3.0. You can’t apply for the opportunity more than once. Every student covets the Fullbright funding for foreign students because it’s such a generous one. You can apply if you’ve completed your graduation and want to pursue research and higher studies in the US. Artists and professionals who want to carry out research and studies at most Texas universities and colleges can also apply. The generous grant covers tuition, airfare, health insurance and also offers a living stipend. You need to apply for this application through the US embassy in your country. Many departments at Texas colleges offer their own financial aid. Visit the website of your chosen college for more information or contact the dean’s office. Use The grants listed above as a starting point for your research, but don’t give up too quickly if you don’t find a good match. There are many options out there to help you fund your education abroad. You’ll be sure to find one that will suit your profile.